You know when you rack your brains for restaurants for this occasion or that celebration, browsing and debating menu after menu as you go… and then just totally hit the nail on the head? Well, in choosing Andersons’ Bar & Grill for the Mr’s birthday prezzie dinner, I did just that. 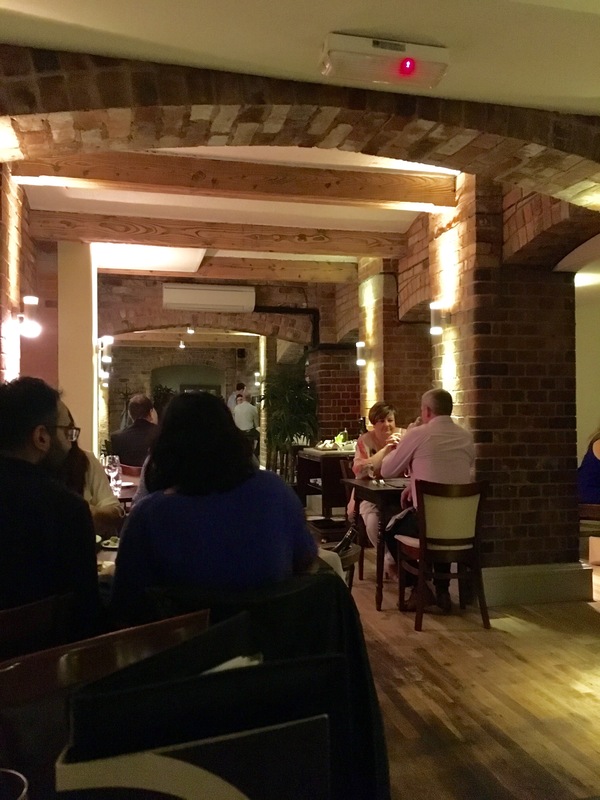 Nestled in a corner of Birmingham’s beautiful St. Paul’s Square in the Jewellery Quarter, Andersons is a charming sneaky venue on the Birmingham steak scene, with many an accolade from food writers and reviewers. Upon arrival, despite having booked a table a few weeks in advance, there was a little wait on the table, so sip drinks at the bar we did, following the advice of the friendly bar lady. No probs there when you get a top notch table right in the heart of the atmosphere. 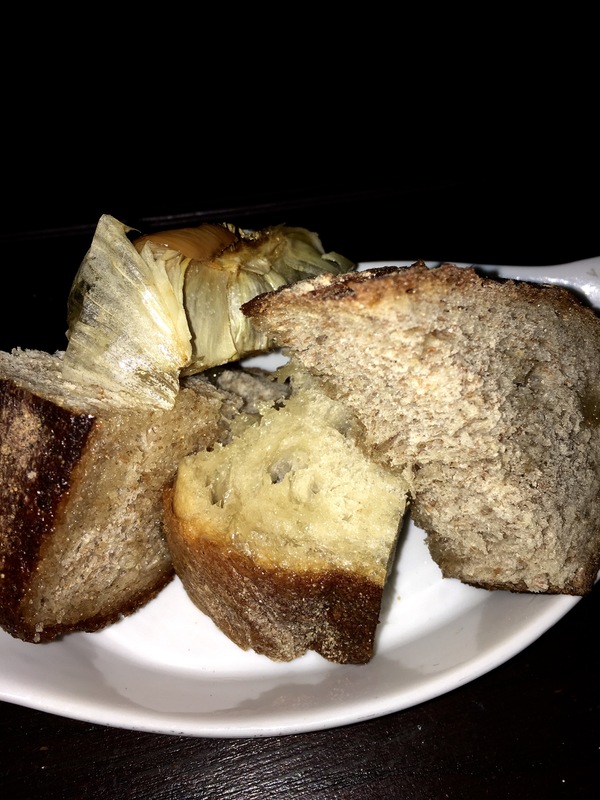 Whilst browsing the menu, we enjoyed one of my all-time fave foodie delights – bread and roasted garlic 😍 Fortunately, this is yet to reach ‘salted caramel’ levels of repetition on every menu in every restaurant everywhere (to my enjoyment), but enjoyed all the more so when spotted on a menu. 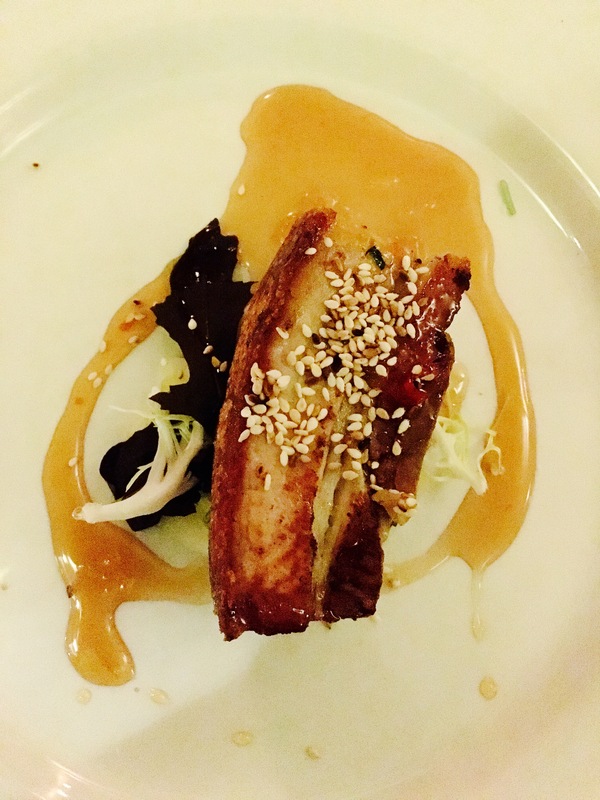 We enjoyed starters of devilled kidneys topped with a soft boiled egg, and pork belly with water chestnuts and a honey, sesame drizzle for me. Despite the only main course seemingly being served from the kitchen being Andersons’ speciality Porterhouse Steak to share (R does not share food! ), we opted for separate dishes. 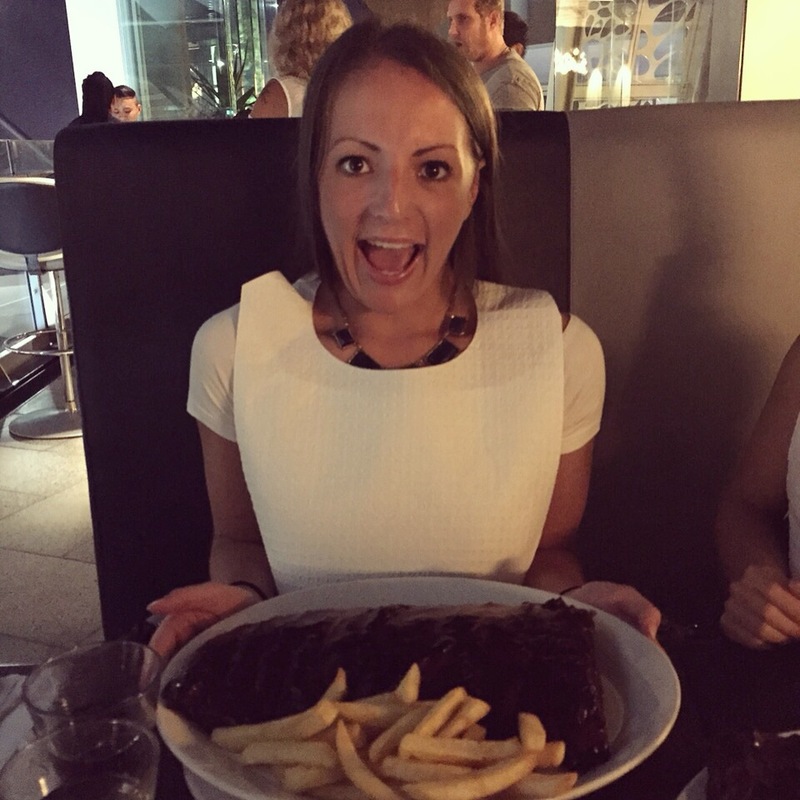 R is a steak snob. 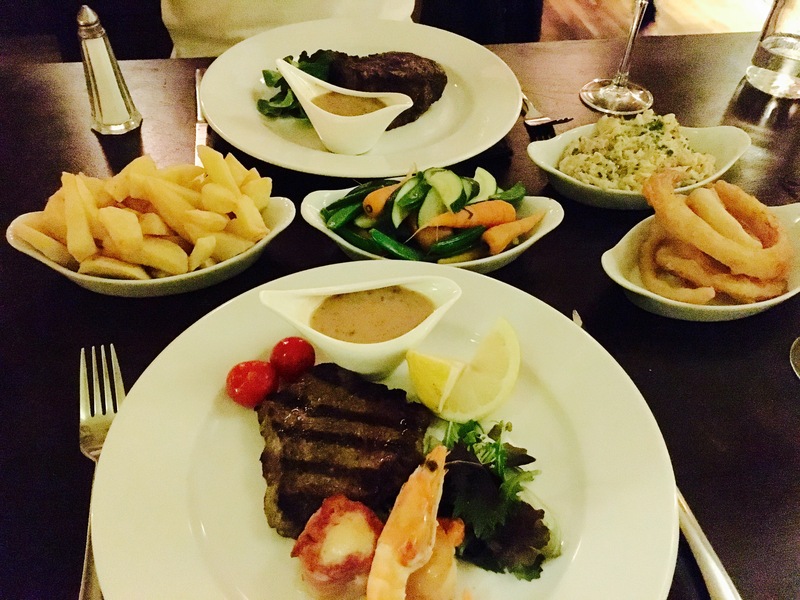 He will now rarely eat any other steak than fillet. So slight trepidation when he read that Andersons’ fillet steak was served on the bone, but he dove into the unknown, and it entirely paid off. 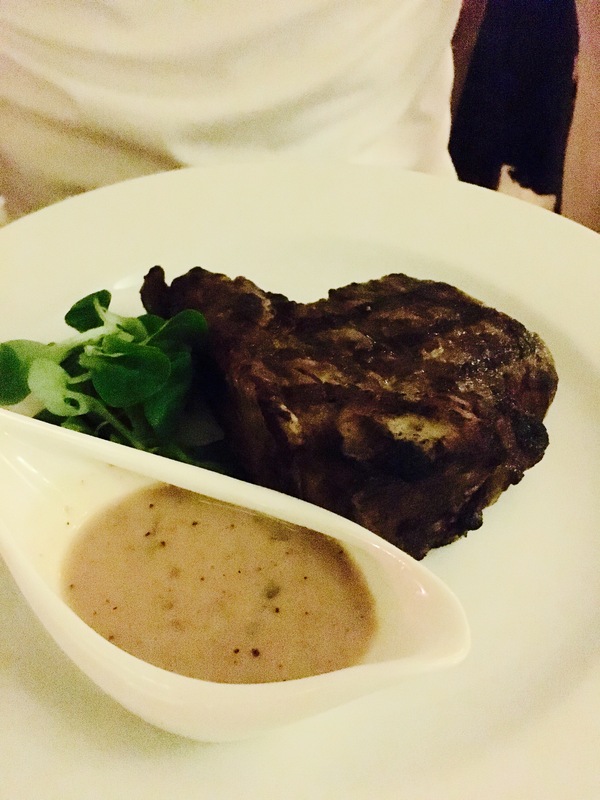 The size of the succulent chunk on the bone was sufficient fillet size and cooked to a perfect rare. 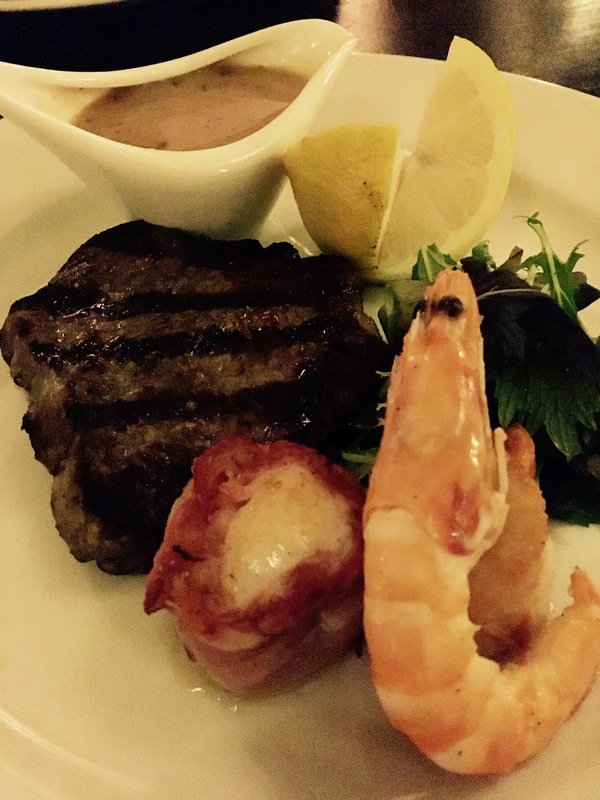 I opted for Andersons’ Surf & Turf – the mixed grill of the sea. Despite this including my least favourite cut of steak, sirloin (I like ‘um chunky), again it was cooked to juicy perfection. However the stars of the dish were the salty monkfish wrapped in prosciutto, succulent scallop and fresh king prawn, which accompanied the meat. We also indulged in plentiful side dishes: homemade chips (proper chippy-chips, none of this frite business), gorgeous sautéed potatoes in rosemary, red onion & cream, an assortment of seasonal veg (yes to sugar snap peas) and Andersons’ own homemade onion rings (oh mama). 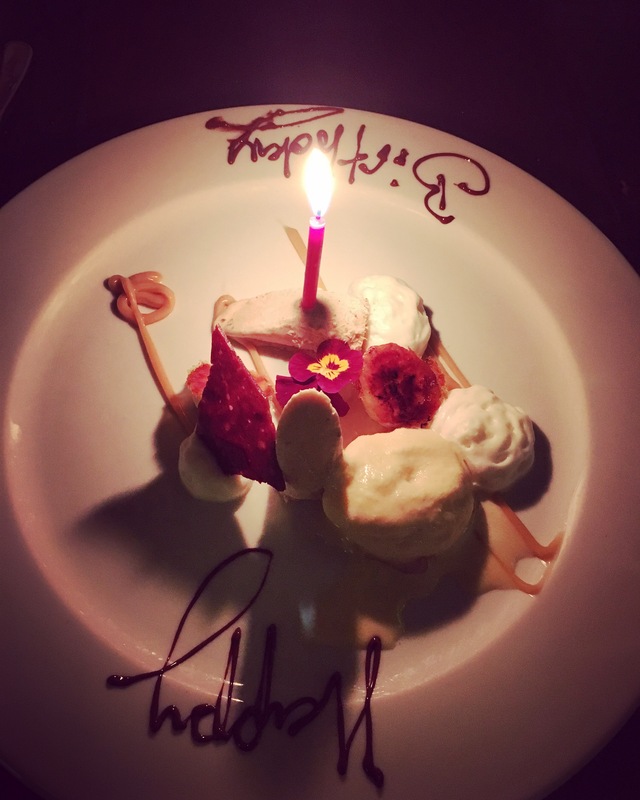 Despite being a non-dessert lover’s birthday, R even encouraged me to have a 3rd course. Opting for the ‘banana 3 ways’ (semifreddo, caramelised & ice creamed) with coconut mousse & chocolate shard, it was presented as a beautiful surprise birthday touch (the birthday did get a spoonful). 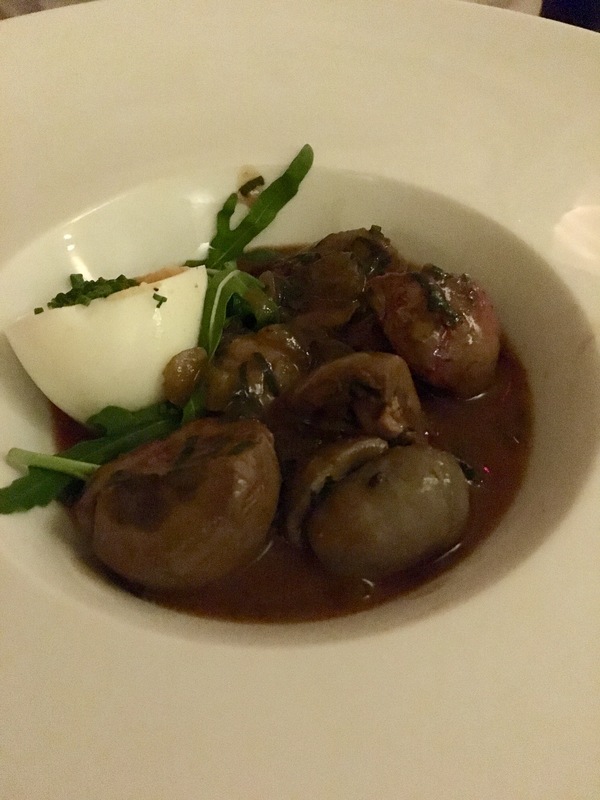 Accompanied by delicious wines (reasonably priced), the restaurant was a stellar, sophisticated venue and evening to celebrate a loved one’s birthday.